i think that the bag is SUPER cute!!! and lucky you to get the best cookies EVER!!! 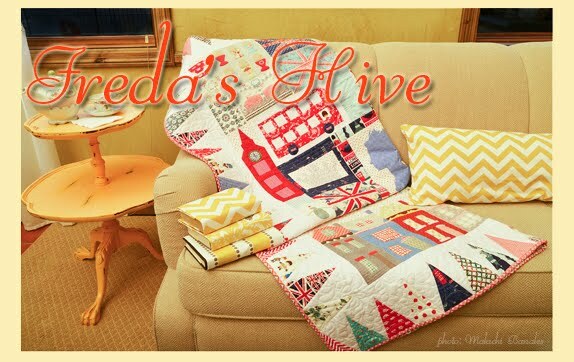 i totally DID "freda's hive" today!!! p.s. thanks again for throwing an awesome giveaway extrvaganza!!! Thanks again for hosting such a great giveaway. What a fun way to end your celebration! You have completely and utterly outdone yourself. It has been so much fun to tune in every day and I have to say, "The bag is soooooo adorable." Have a wonderful holiday season. Thanks again for hosting all the fun. Oh...wish I would have found this blog earlier...like last week for example! I love this bag and love your 7 day giveaway. How very generous of you. Merry Christmas! You've made it a fun week for all of us waiting to see what you posted next! Wonderful! You did a great job this week and kept the posts interseting and fun. I hope you have a relaxing weekend cozied up with your family and sewing. Who couldnt use another tote bag? And a cute one too. Thanks for the giveaways and stay warm today. Utah knows how to snow (I will never forget last year. Oh my). I see me now carrying that adorable one of a kinda from Freda'a Hive tote while eating a peanut butter blossom cookie. Great week full wonderful give-aways and fun stories, Nanette. Thanks and Happy Blogaversary to You and Your Daughters. Mrs. Squash said to come on over. Your bag is adorable and what a great friend to bring you a winter treat! Cute! And the texture is great. Great bag, Nanette. And guess what, you already made me win the recipe for the oatmeal cookies. I love oatmeal cookies. I know they're cookies and have loads of calories. But ... there's oatmeal in them so ... they're healthy so ... you get to eat more than one or two or three. I'm definitely going to make this recipe! Good luck with all your comment countings! It was great fun, to come over on your blog these past few days. You will still see me after these wonderful days! What a fun week of blogging! Freda Hivin' has been a blast from the past! Thanks for hosting such a fun giveaway. It's been such fun this week. Thanks for hosting this give away. love your patchwork tote. i just made lining was just a touch too big. but it still looks great so i'm wrapping it up. thanks for hosting a great show. & happy anniversary. Nanette, you've really outdone yourself and you deserve a good rest! That bad is to die for - I love it! I also love Mexican Vanilla - what a treat! Have a great weekend! This has been a fun week. I love that bag and of course the other prizes as well. I'd be proud to own it. Now I'm hungry for cookies. What a darling bag! And what a fun week! Would love to win but have enjoyed playing and looking regardless. Such a pretty bag! This has been a lot of fun even if I did miss a day or two. You are the novelty queen! Cute bag with the ricrack top. Thanks for a fun week! 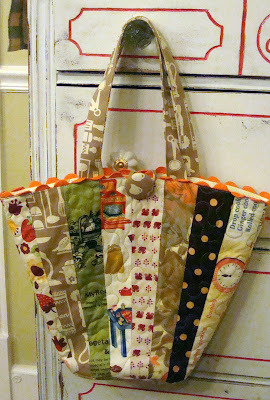 The bag is very cute-- I love that orange rickrack! And I might have to try and make some of those cookies. Mmmm. Cookies. We are our own worst critics. 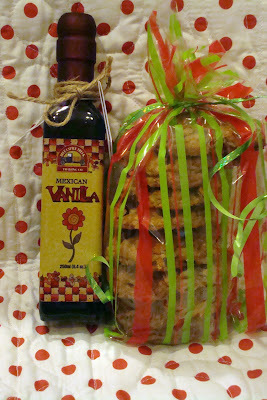 Lovely giveaway but now you have me adding oatmeal crisps to my cookie list and mexican vanilla, yum!!! Absolutely love the shape of the bag! You sure Flora isn't available for the giveaway??? cute bag...love Pioneer Woman! Bet the cookies are yummy! What does the label on the pocket say. My eyes are old....can't read it and I am the curious sort! What a super cute bag! You do such a beautiful job on all your projects!! Oh how cute it is. No one will know about the lining except us ... works for me. Merry Quilting. Too bad all good things have to come to an end. Now I will just have to keep my fingers crossed until Monday, and hope that I win one of your darling giveaways. Thanks again! You must have a phenomenal stash and even better collection of finished projects. Thanks for being generous with your crafts and keeping us all looking forward to your next post this week. As you know, I love the bag! 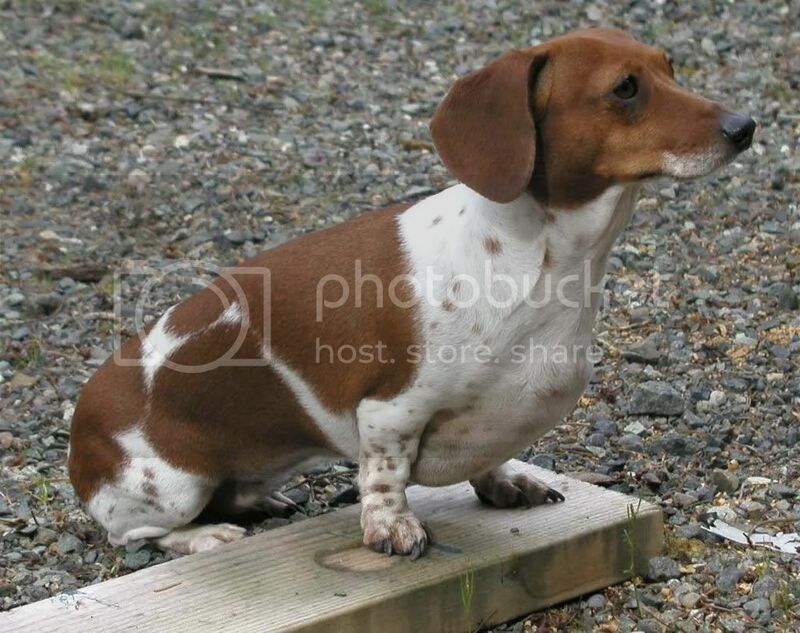 But this one is already made up and waiting just for me... maybe... lol! Now the cookies, so since you weren't giving them up, I went over to the Pioneer Woman site... WOW!! What a site. I gained weight just looking at all the yummy stuff. Thanks for the link! Isn't Flora the best? I've printed off that cookie recipe and will be giving it a try! I sure wish she did a blog. Oh yes, and by the way, thank you for a wonderful week. You have given me so many ideas for when my first anniversary comes up. I'm a Nanette wanna be in so many ways! I love the bag -- the shape, the fabrics, it's all wonderful. Hey Girl: you're the best! and your bags are too. Thanks for the creative week and Thanks for the tip on the cookie recipe, you wouldn't think finding a good cookie recipe and being able to make a great cookie could be so challenging, BUT last week I made the recipe off the choc. chip package, and I'd say they were some of the worst cookies I've ever had!!! My guy said that there was a spot on PBS with tips on making superb cookies. It's amazing he stayed tuned to listen to it, he's not a sweets fan, it may have even been a driveway moment! :) Take Care. What a fun bag! You know, win or lose this whole week has been fun playing Freda's Hive. I always enjoy seeing your projects too. Thanks for letting me play. 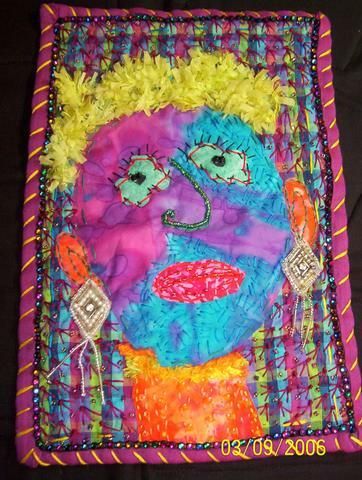 Hi Nanette, you outdid yourself this week and should take it easy and sew. Thank you for such a great giveaway week. So, would you share your secret for making the linings fit nicely? I always seem to have that trouble -- they're always a little too big. Mmmmm, now I know I NEED to make those cookies. They've been on my list for awhile. I LOVE Pioneer Woman. Have fun counting comments and snowflakes! Oh Freda, love this little bag. I am actually #48 on list today. That is cause I was able to get on here at work. Yesterday was just too busy. Take care girl and I hope you have a wonderful holiday season. If you do any kind of swaps after the first of the year will you please keep me in mind? Thanks for the cookie link. I am printing it off right now! That tote is VERY cute. Looks like you put a lot of time into it. Nice work! Yay! I made it through all 7 days. :) I went through all the prizes and decided that I like day 4 best. The tote is adorable. I love that you used some vintage fabrics as well as novelty. Totes have become very popular to make amongst the quilting world. Our local store has several classes a year making totes. Haven't tackled that project yet. Well, this has been one fun and exciting week on your blog. My wife reads the pioneer woman's blog religiously. I can't complain because she's made some awesome recipes from that site. I bet the cookies are amazing. Good luck counting! Hoping I win one of your special prizes! I'd love to win this bag. And now I'm off to try the cookies -- I just HAPPEN to have everything they call for! 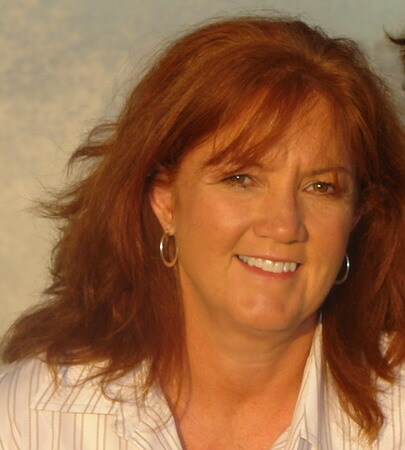 Nanette - I so enjoy your blog! and that bag is a great shape! I'm new to blogland & would love to be the recipient of your giveaway. So sorry I missed it all this week! Great give-aways you had. Oh, that bag is sooo cute. Thanks for putting together this fun giveaway week. It's been fun to check in everyday to see what fun you had in store for us! it's been a great week. Thank you so much for sharing all your wonderful goodies. The tote is just lovely. Have a great weekend. Marvelous bag, too cute for words. Thank you for making this such a fun week. I love your blog and will continue to visit to see what you are up to. Merry Christmas and Happy New Year!!! Love the little tote ~ you just can't have enough bags, can you? What a nice gift from your friend! And I love her name too ... so old-fashioned and romantic. I love the Pioneer Woman. I think I would love to go back in time and live more simply ~ well except for the running water thing ... and the outhouse thing ... and maybe the electricity thing! LOL We do heat exclusively with wood but thats as far as it has gotten. Wishing you a wonderful weekend. I am having my little Santa Cookie's apron giveaway today. And I hope today to make 4 little aprons for my nieces who are coming to bake cookies next week. So I'll be busy sewing too! Now who would complain? They best not be...it is adorable..
cute tote bag and love the link to the Pioneer Woman, will have to look at those recipes. Great looking bag Nanette, and as for the gift of the vanilla, well how cool is that. My grandmother always put a drop of vanilla behind her ears everyday and she always smelled yummy when she hugged us kids. I put your contest on my blog this week Nanette but I don't know how to do a link yet,but I did tell everyone to come over and see. You did this giveaway during my busiest week of the year (boo-hoo) So sorry if I didn't come by everyday Maybe I'll do better on your 2nd blog-aversy...*lol*. I really, really love your site, there's always something fun going on and I like that. Wow, even more beautiful!! I am amazed with your kindness preparing all this for your readers/admirers... :) specially the counting comments stuff, that is really a hell of a job! You deserve all the good things in life. What a great bag! Love your give aways!! Love the bag. What girl can have enough bags? No this one. I just love them. Thanks again for a really fun week. Even though I may not comment for each blog, I really do enjoy reading your posts. The bag us cute as can be and you know you're going to enjoy those cookies if the recipe is from the Pioneer Woman. What great giveaways you have had. Hi Nanette--I love that bag! All the prizes this week are wonderful. And those cookies...mmmm, they look delish. That bag is so nice and I would love to have one of your one of a kinds...Thanks for letting us Freda-Hive all week! I'm keeping my fingers crossed that I might be a lucky one!! Merry Christmas to you and yours and I look forward to a Happy New Year following Freda's Hive! Your offering get cuter and cuter! It's been a fun week, even if I don't win. Hope I didn't just jinx myself! BUMMER!! We had major ice storms here and I had no power all day yesterday, so I couldn't comment on yesterday's post. Guess I won't be getting the 10 entries :( :( Well here is my post for today anyway, that should give me 6! Keeping my fingers crossed!! Cute, cute bag! And those cookies look good as well...I'm going to have to look up that recipe! Have fun with the snow...my daughter got out just ahead of the storm and is home for 3 weeks now! Very cute bag! And great week of giveaways! I LOVE Mexican vanilla! Lucky YOU! Okay...here I am.....LAST day and then we find out who the winners are!!! YAY!!! Thanks for doing this super giveaway, Nanette! LOVE LOVE LOVE the bag - please throw my name in the hat. Your are toooo gracious. Lucky you on the nice gift. I like the shape of the bag-so far I've only made square or rectangular bags. And Nanette, you are the very first person to ever comment on my blog!! Thank you for visiting me! it looks like you will be counting comments for a while - it seems like giveaway week is a hit! Thank for this giveaway...the bag is lovely...please add me to the list! This has been quite an impressive giveaway! I wonder will anyone ever top this??? (This is a throwdown to all other blogging quilters!) Great job! Well, I've done it, I've made it to Freda's Hive everyday, and commented along with the crowds to have my calendar marked. Thanks for the fun opportunity and good luck with the tallys and prize draws. Hope my name appears in there somewhere, I'll be checking back with excited anticipation. oh you better eat those cookies right now , looks like your going to need your energy counting all these comments all week! pioneer womens blog is fun to read! So the bag is very, very cute? Is it your pattern? Even if you are keeping the cookies and vanilla, it gave me a great idea for a gift...thanks Flora via Freda's Hive. Thank you so much for your wonderful giveaways (and great blog). The bag is lovely! Thanks for the chance to win. We had 10 inches of snow yesterday here in north-central PA! Looks beautiful. I thought this was Day 7? I must have lost track of the giveaway extravaganza! Great bag! Hi, What a beautiful bag, the colours look fantastic. Bring on day 7, I Love this. What do you mean no cookies??? :-))) Cheers and happy blog anniversary, Nanette! THank you so much for the week of fun!! I was telling my husband today that it would be nice if there were a few snow days. It would be so nice to hunker down and sew especially if all the other stuff (cleaning and cooking) was done. Thanks for the fun week. Your giveway was special. 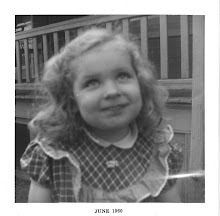 Congratulations, again, on your blog-aversary! I love everything you do. I'm really crossing my fingers to be luck enough in your giveaway! Good weekend and thanks for the generous opportunity! I have to laugh at Rachel's comment. She is so happy she posted the first one. I certainly hope she doesn't think it gives her an advantage! Tee Hee Hee! I'm sure we all want to win! LOVE the bag! And Pioneer Woman's cookies, too! oh, count me in for that fabulous bag! Have a wonderful weekend, and happy (!) counting!!! I want it all!!! Great gifts. Your label is perfect! You are one of a kind! Another beautiful project for someone to win!! It has been a great week. Enjoy your weekend! this has been fun.....thanks for your generosity. Have a great weekend! Very cute bag! I love your ribbon tags. Did you order those or make them yourself? They are so cute! Thanks Nanette for this fun week. We all really appreciate the work you put into your blog! Hooray, I made it through the whole week! This tote is a cutie!!! I can't wait to see who wins! I would love to win something of yours! Wanted to add one more to your count so you would not get bored. Another wonderful gift! I love that bag! 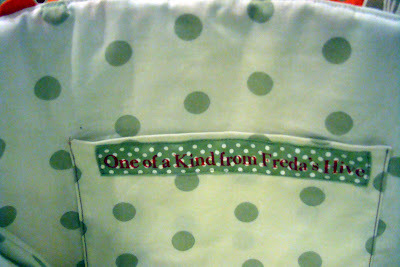 Your Freda's Hive label is very cute, too. I cannot believe how generous you are with this give away, Nanette! Even if I don't win (I think it would take a miracle! ), I just want to thank you so very much! Yay, I made it to the Saturday post. I'm usually just a weekday blog reader. Thanks again for this week long giveaway. You are very generous and creative. I enjoy reading your blog daliy (at least week-daily)! Super cute bag. Pick me!! 113 today! Love the bag - me too, I had to discover the lining should be made shorter - oh, well we live and learn - who cares anyhow, that bag is gorgeous! Are you sure you won't stuff those cookies in that adorable bag...that would look really cute :) Love the fabrics in the bag...whew I "Freda's Hived" all week!!!! What a fun giveaway you hosted this week--you rock!! It would be fantastic to start the year with such a lovely bag. what a week of great prizes. All the prizes are fantastic!! Thank Nanette, we will all be waiting for the outcome! Love that Pioneer Woman! She's the best! Boy the week flew by so quickly! Have fun with all the names. I enjoyed playing whether I win or not. What a wonderful bag! I love the shape! I have enjoyed reading your blog each day this week and have gone back to read many of your earlier posts. You are a very kind, creative and generous person. Thank you so much for organizing this give away. If I hadn't found out about it I would never have found your blog. Am I ever glad that I did! I think it's great! I'm getting the hang of this Hivin'. Love to win. Snow sounds good. We had a little bit of a melt here in Iowa today. I am making the new version of the bag right now. I love the fabric in the kit! Keeping my fingers crossed for a Freda Original. Thanks for the give away. How exciting everything has been Nanette!! Thanks so much! I cant believe all of the comment you have already! It is 7:43 PST and you have over 120 comments! WOW! While i am sad you are not sharing your cookies and vanilla, I am VERY excited that you are sharing such a great looking bag! I love the ric rac popping from the top, and wouldnt mind the slightly large lining at all. OK, I should win. I drove 9 hours today and still am taking time to read and write on the Hive. And honestly, this has been a lot of fun. Thanks. Oh this purse is way too cute! There would be no complaining here!! I Love it and would be honored to carry it!! Oh....I'm crossing my fingers and toes here!!! Thank you again so very much Nanette! Guess I was so in "ahhhh" over everthing that has happened on your Blog this past week, I didn't even notice we were on Day 7! It's been fun and a heartful THANK YOU for all the fun. Whew! What a week, Nanette. I hope you have a good day of rest. Thanks for letting us play. That bag is so cute! My mouth is watering for yummy cookies now that you've brought them up! How much snow did ya'all get? We got at least 5 inches down here. Ugh. I hate the snow. I love real Mexican vanilla- it is so much better than the artificial vanilla- I am sure that the cookies are outstanding.. I'm a big fan of Pioneer Woman. I read her every once in awhile. I love her pictures and cooking. my hubby is a HUGE fan of the cowboy mac and cheese. I just feel it going to my thighs, it's that good!! Did you know that her hubby is like a gazillionaire? that would make her one too but you know what I'm saying. Anyway thanks for this awesome giveaway! You so totally rock, Squirt! Thanks again for having such a generous giveaway. amazing how bags look so different with different fabrics. Oooh, too cool - count me in! Just found your blog. I'll be back again to spend more time looking around. Love your stuff! :) Merry Christmas. Oh no! I missed the deadline AGAIN! lol! We had that big ice-storm that was all over the news and lost power. Sigh. Love the bag though, and you know I wouldn't complain about the lining, right??!! I'm probably too late for the giveaway as I just found your blog from another. I love the bag and oh my, you are one busy lady! I'll be back! I love that bag even if the lining is bigger. The rick rack is a nice touch. The bag is gorgeous! I'd love to be entered! Oh, pretty bag!! I'd love it and use it every day!! Thank you so for this super fun giveaway week! !